I searched for the definition of insanity and I found that it is a severe mental illness or something that is very foolish or unreasonable. I looked in the urban dictionary and it said that insanity was doing the same thing over and over again and expecting different results. Now I’ve always known these definitions but the older I get I am starting to relate and understand the true meaning. As you all know I consider my blog to be different because I don’t want to be viewed from a dictators standpoint. I am going through my journey right now so that we can go through it together. With that being said, I am still facing everyday dilemmas that I haven’t completely healed from. But I had a realization that some of these issues are recurring and sometimes make me feel like my life is broken record. Constantly repeating the same thing over and over and over and over. And each time I’m faced with this same difficultly I do the same thing I did before to try to solve it expecting to get a different outcome. Each time the outcome becomes more detrimental than the time before. And every time I get more and more upset and then the cycle starts all over again. I’m currently in the process of learning how to break the cycle because going through this can truly cause you to feel insane. Sometimes we believe in something so much that we just want it to work but it’s not always good for us but because of that hope we allow ourselves to keep doing it. I’m talking about those relationships (friends too) you have been in for years with no growth and the other person keeps hurting you the same way and you keep taking them back. Or the job you’ve been working a long time and you’ve been in the same position the entire time with no appreciation but you work hard and do everything asked of you and beyond. What about that project you been working on for forever and each time you start and you’re almost there it fails. We have to let go of fear and try something different. It kind of reminds me of using a GPS. When using your GPS it could send you on the same route everyday and it works out great for you at first. But then on this route they start doing construction, then they move from 3 lanes to 1 lane, then they start to block some roads off and you have to go off course and you end up being late. Now instead of finding a new way to where you’re going you keep taking the same route over and over frustrating yourself more and more. But I thought about when you go off course you hear the navigational voice saying “recalculating route” and ends up sending you in a different direction and you discover that this route got you to your destination even faster than the original route. Picture your life this same way. We keep getting involved in these things and although we already recognize the patterns and can recall the results, we keep taking the same route. How can we expect to get to our YET if we don’t let go of the fear and recalculate our route? And trust me, I know its hard. New things can make you nervous but I’d rather try something new than to cause myself to completely lose my mind over a continuous cycle that will probably never change. No more insanity for me. I have to get back to DETOXING my spirit. You can do it too. I’m here with you!!! 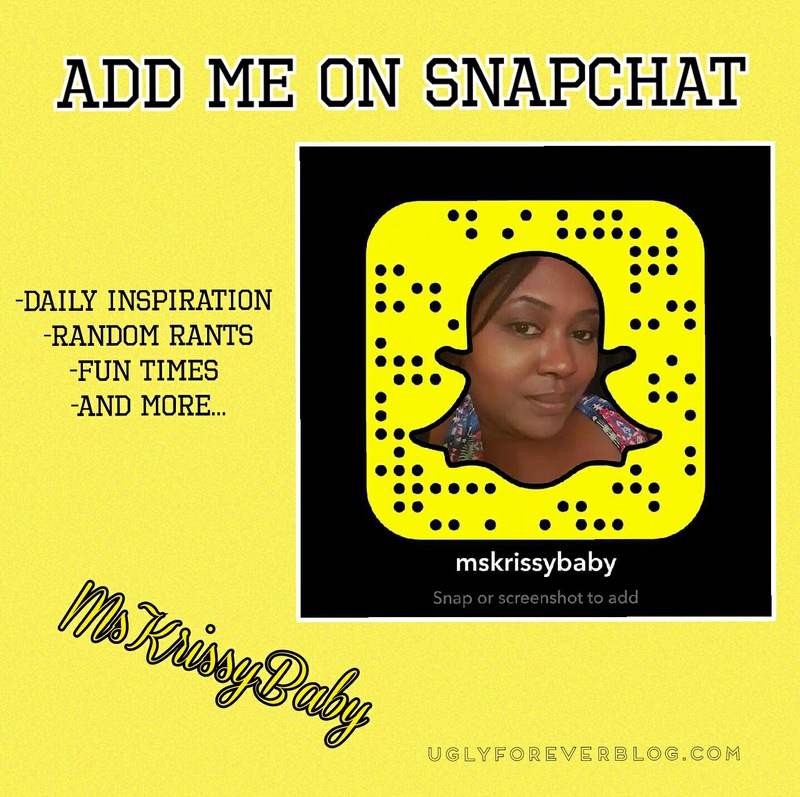 Posted in Inside the Mind of Krissy G.Tagged Health, Insanity, Krissy G, Love Yourself, Motivational, Self Esteem, Self Love, UGLYForever. I’m so happy you were inspired. Change is a struggle but once that realization kicks in you begin to notice the difference. Previous Post U.G.L.Y Forever Apparel!! !